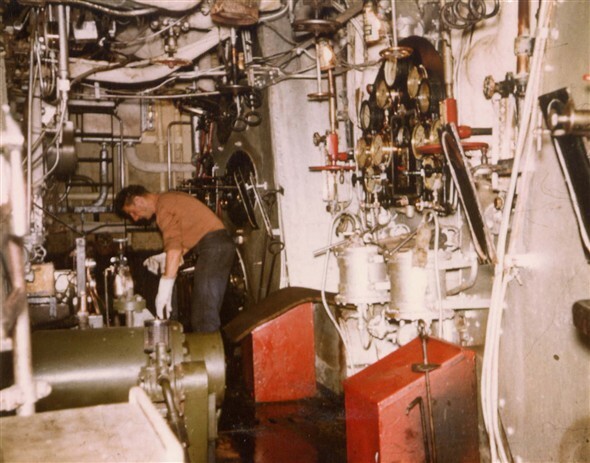 Fireman Jimmy Green "On Watch" in the Boiler Room of the TSS Brighton. This page was added by Mick Cutler on 05/05/2010. I worked with Jimmy for a season in the engine room of the Brighton.I remember he always used to shout.When I left her I went to work on the A.A. Raymond. Does anybody remember her?